Ampla Health adopted the Patient-Centered Medical Home model of health care delivery that encourages improved quality and greater involvement of patients in their own care. 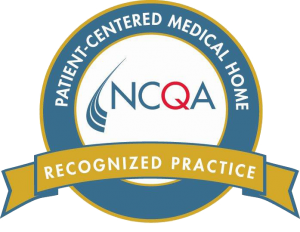 The Medical Home is an innovative, team-based approach to providing health care services via a partnership between the patient, his or her primary clinician, and a health care team. The health care team may include Primary Care or Specialty Physicians, Community Based Providers, Nurse Practitioners, Physician Assistants, Medical Assistants, Registered Nurses, LVN’s, Medical Assistants etc. Together, following evidence-based guidelines for medical care, the team will will offer consistent, coordinated care and communication, and arrange for specialty care to provide the best health care services possible for you. You will select your choice of Primary Care clinician. In addition, there will be a team of nurses and support staff to work with you to meet all of your health care needs. Community resources, self management tools and care plans will be made available to provide personal medical care that is optimal for enhancing and maintaining your health. Your health care team will schedule a follow-up appointment with you upon your discharged from hospitals or the ER. Your team will ensure that your recovery is progressing as planned to keep you from going back into the hospital. They will also identify appropriate specialists you may need to see. You will be notified of your test results and lab results within a timely manner. A follow-up appointment may be required to ensure a thorough understanding of the results and proper follow-up procedures. Referrals will be made to medical specialist, mental health and substance abuse specialists, and other services as needed for your improved health care. For routine care or urgent care issues during working hours, your Primary Care clinician (or another one of our team members) will see you on the very day that you have an urgent health care need. You will need to simply call the main office number during working hours to schedule a same-day appointment with us. For routine care or urgent care issues outside of working hours, our Answering Service will respond to your call and route it to an on-call provider to provide you the necessary medical attention. If at any point in time in which you are experiencing an emergent situation with the following conditions: chest pain, seizures, stroke, hypoglycemia, and hyperglycemia, please call 911. Many urgent health care needs can be handled by your Medical Health team. You will then avoid having a prolonged and expensive visit to the Emergency Room. You can communicate with a Medical Home Team member anytime during normal working hours. We will be implementing a Web-based computer system that will allow you to learn about a particular medical condition, electronically communicate with your Healthcare Team, and receive electronic reminders about your personal conditions. We will be providing you with more information on how to enroll in such a system in the near future. You can contact your Medical Home Team directly. You can arrange an appointment to discuss your health care needs by calling your health center. An on-call provider will respond to calls received outside of normal hours. Please call 911 for all emergencies. It will be necessary for you (or a surrogate) to let the Medical Home Team know if you are seen by any other provider. This will allow us to continue to coordinate your healthcare needs.